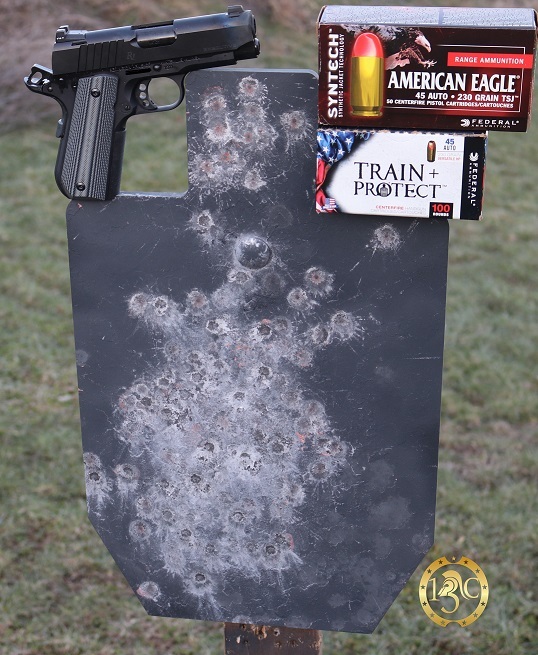 Testing for the full review on the new 1911 R1 Ultralight Executive from Remington is complete and the results are in. Two months ago we gave you the first ‘in the wild’ video on the R1 Ultralight Executive: FIRST LOOK: The R1 1911 Ultralight Executive from Remington . Initial testing was extremely positive and it ate all the dirty reloads we could feed it. It was also our first attempt at pulling off a non stop video with no cuts detailing our experiences in an unedited format. Feedback was overwhelmingly positive so we decided to try it again for the full review. Let us know your thoughts and feedback on this different format we tried. It probably won’t become the norm because, quite honestly, talking non stop isn’t my strong suit and our subscribers time is valuable and we don’t want to have long rambling videos. We did have a lot fun with this one, drop us a note on Facebook and let us know what you think.